**An MRI late in December showed that I didn’t just sprain my ankle (regardless of what the initial xrays said), but fractured the top nubbin of one of the larger foot bones (where the bruising is in the picture at the above link). It didn’t slide out of place, so it’s partially healed, but not nearly as healed as it should be given the time that’s passed, and is still not fully connected to the rest of the bone. For the next six months, I’m instructed to only do low-impact exercises (so the walking goal above will depend on how quickly the ankle heals), as well as a few other things that the doc hopes will finally heal this stupid thing. My goal to heal my ankle is mostly a commitment to the doc’s instructions. 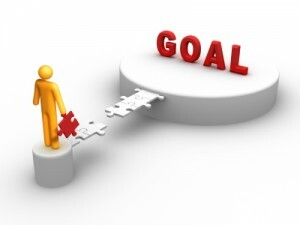 Writing: My goals are simple here – to redevelop regular writing habits. To help with this, I plan to work on edits for my current manuscript, write a second draft of one pending manuscript, and draft something entirely new during NaNoWriMo. While it’s not necessary, I’d love to get back to an average of at least 10K words monthly. Books: Another simple area, as I’m happy with my current book-and-blog life. This year, I’d like to make good progress into the Wheel of Time series, and get through my backlogged Audible queue. Yes, that’s a lot of things, and no, I don’t expect to complete them all. I like having a plan and a structure, though, and I’ll do my best to complete as many of them as possible. To keep myself accountable, I’ll check in here quarterly. Wish me luck! This entry was posted in Personal and tagged goals, lists. Bookmark the permalink. Your goals are awesome me! I love how you group them into different catergories! Lots of good things planned for 2017! Good luck with your goals! I think these are all completely achievable goals that make sense and are personal to you. Just one more step in the right direction for you. I will be cheering you on the entire time!